This thesis examines how urban poor groups in the city persist between constant disruptions and tactical negotiations in their everyday lives, in spaces that are not only prohibitive but in which built forms are in a constant state of flux. Mumbai has long been framed around two distinct narratives as a city of opportunities on the one hand and of dispossession on the other. Among scholars, activists, journalists, policy makers, popular media and even in fiction, this image of Mumbai alludes to either the lauding of the global elites shaping the city in the ‘World Class’ spirit or towards the critique of neo-liberal city development that is cleansing the poor from the public sphere. Acknowledging the spatial inequalities that this mode of city formation is bringing forth, my research explores groups that are existing in “gray spaces”, i.e. those who have neither been fully integrated into the city or fully eliminated. Based on 12 months ethnographic fieldwork with a community of pavement dwellers in Mumbai and drawing from literatures of everyday contestations, gray spaces and edges of the state, I argue that spatial location (i.e. where people locate themselves in the city) is a combination of economic logic as well as rationale decision made on the basis of socio-cultural ties with the geography of the city. Drawing from contemporary literature on world class city, ethnographies of the street, ordering of the city and everyday state my research departs from these works. While revanchist discourses frame visions of the city , in which eliminating any visible markers of poverty is key to the aesthetic appeal, urban poor groups persist in the public sphere. Engaging with literature of everyday bureaucracy and drawing from my fieldwork, I stress that this persistence is enabled by a combination of tactical learning and ‘gray spaces’ of the state. 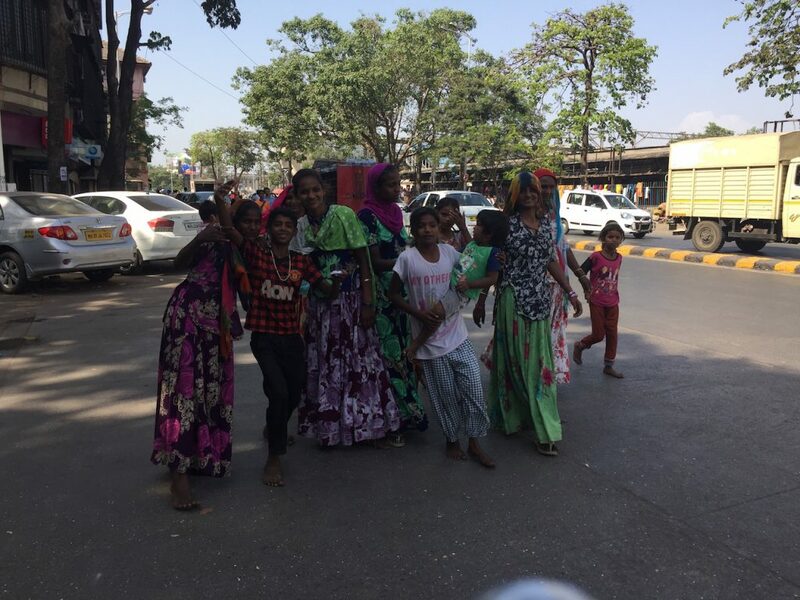 Image credit: Paroj Banerjee, Description: Walking with a group of women pavement dwellers to nearby school for a programme on International Women’s Day.